A group of British investors is poised to take ownership of the historic Norwegian cruise and ferry service, according to a report in Barents Oberserver. The paper goes on to report that Hurtigruten announced on Wednesday it recommends a takeover bid from the London-based investment group, Silk Bidco AS. With headquarters in Tromsø, Hurtigruten operates daily voyages along Norway’s scenic coast from Kirkenes in the northeast to Bergen in the southwest. After the announcement of the takeover bid, Hurtigruten officials are reported to have said the company would get a better financial stand to consider construction of new vessels, including ships for expedition cruising. 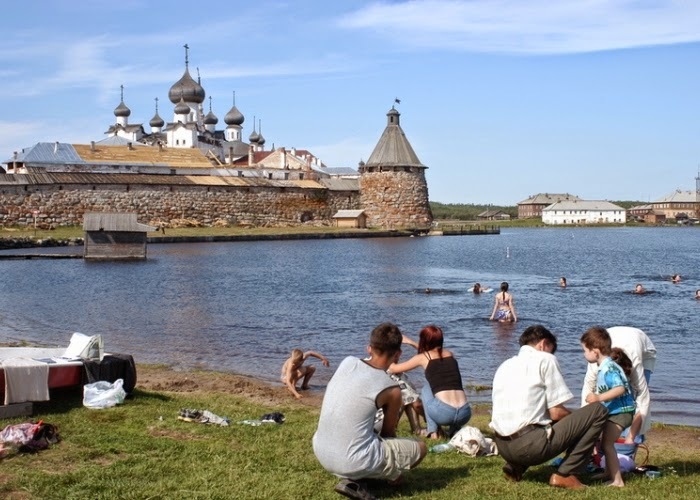 The Holy lake behind the walls of the monastery is a popular recreation area for the locals on Solovki. A new destination for expedition cruising in Russia’s White Sea region with the Solovetsky archipelago, often entitled the secret pearl of the Barents Region. “We have agreed on starting developing the cruise itinerary from Tromsø via Kirkenes, Murmansk, Solovetsky Archipelago to Arkhangelsk,” says Olga Gorelova to BarentsObserver. Gorelova is Deputy Head of the Agency for Tourism and International Cooperation of the Arkhangelsk Region. The itinerary was discussed at a meeting between Russian and Norwegian tourism representatives in Arkhangelsk in October. If successful, it is proposed that the the expedition vessel, Fram, begin cruises in 2017. Luxury travel company and cruise expert Abercrombie & Kent still has limited space available on its 2014-15 Antarctic expeditions. The adventure begins in Argentina where guests travel to the 'white continent' aboard the sophisticated 199 passenger MV 'Le Boreal' which has been specially chartered by A&K for these departures. A passionate expedition team of lecturer guides accompanies guests on Zodiac excursions ashore to explore vast penguin colonies and wildlife habitats, float past dazzling icebergs, explore the southernmost city in the world and visit scientific research stations. At sea, educational and informative briefings are conducted plus whale sightings, bird watching and terrific on board camaraderie with everything included. The world's largest and most spectacular nautical event, the 8000-boat Sail Amsterdam, will unfurl in The Netherlands in August, 2015, and Australian cruise agency, Cruise Express, is offering sea lovers the chance to be part of the parade on one of the world's biggest sailing ships, the 162m-long Wind Surf. Held every five years in the Dutch capital, Sail Amsterdam was first held in 1975 to celebrate Amsterdam's 700th birthday and now attracts more than two million sightseers including those on 8000 boats who clog the city's harbour to witness the spectacle of hundreds of tall ships, heritage craft and naval vessels sailing together. The unique thrill of being part of the 2015 parade aboard one of its largest attractions is offered as part of Cruise Express' 16-night fly, cruise and stay package which includes a flight from Australia to Oslo on August 13, 2015, three nights' accommodation in the Norwegian capital and an eight-night voyage aboard the 310-passenger Wind Surf from Oslo to Dover in England. The grand, five-masted mega yacht, which boasts 2600 square metres of self-furling sail, will first take passengers to the historic southern Norwegian port of Kristiansand before arriving in Amsterdam on August 19, 2015, for the grand Parade of Sail which will star Wind Surf as the biggest sailing ship in the colourful event. An overnight stay in Amsterdam will be followed by visits to the Dutch port of Vlissingen, close to Antwerp over the border in Belgium, and the Belgium port of Zeebrugge near historic Brugge before Wind Surf arrives in Dover. The package also includes three nights' deluxe accommodation in London and a flight back to Australia. The 16-night fly, cruise and hotel package is available from $7999 per person, twin-share. For more details, call Cruise Express on 1300 764 509 or visit www.cruiseexpress.com.au. 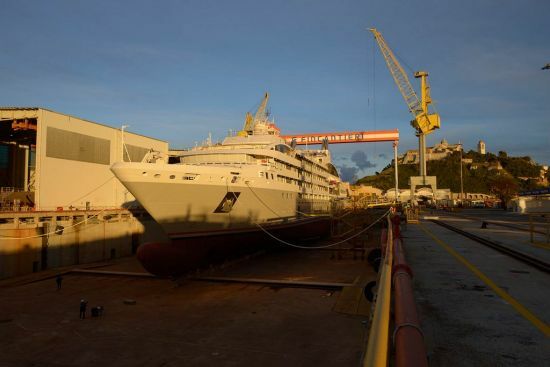 The new Ponant ship Lyrial was launched at Fincantieri today, and will be delivered to the French luxury expedition brand in spring of 2015. The ceremony was attended by Jean-Emmanuel Sauvée, CEO of Ponant, Véronique Saade, Deputy CEO of the company and, by Fincantieri, the Director of the Ancona shipyard John Stecconi. Godmother to the ship was Gohagan Virginia, wife of Thomas P. Gohagan, CEO of Thomas P. Gohagan & Company, a travel agency in Chicago. This is the fourth ship in a series of sisters delivered to the brand since 2010 by the Italian yard. The ship is about 11,000 gross tons, is 142 meters long and can accommodate 260 passengers in 122 cabins. As a proud supporter of ultra-marathon swimmer Chole McCardel's recent world-record breaking swim in the Bahamas, adventure travel company Aurora Expeditions is offering everyday Aussies the opportunity to test their own limits through a selection of exciting adventure activities on board their small-ship expeditions in 2015. If a gruelling 42-hour, 126-kilometre open water swim doesn't appeal, Aurora Expeditions wide-range of expedition cruises offer passengers the chance to have the ultimate adventure through a number of different activities ranging from an easy 20-second 'Polar Plunge' to a 50-kilometre trek across an a subantarctic island. Antarctica comes in at number one as an adventurer's playground and passengers can choose from an array of optional activities. 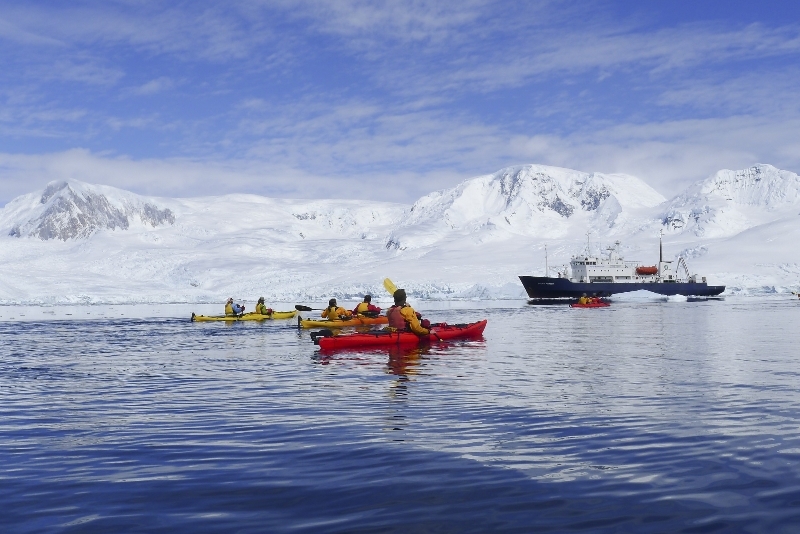 Camp on the ice like an Antarctic explorer, paddle a sea kayak though waters teeming with wildlife, or any good swimmer can don a dry suit and plunge into the icy cold waters to snorkel with penguins. If those options don't cut it, experienced adventurers can test their skills at climbing one of the Antarctic Peninsula's thousand-feet peaks, scuba dive below Antarctic waters where ice walls sparkle and marine life flourishes, or follow in the footsteps of one of the world's most famed Antarctic explorer - Sir Ernest Shackleton - on a three-day, 50-kilometre crossing of South Georgia's interior. In the Northern Hemisphere, visit Greenland, the birthplace of kayaking, and paddle amidst spectacular mountain scenery and towering icebergs the size of high-rises. In Alaska, beginners can learn to stand up paddle board, or enjoy some easy-paced kayaking and polar snorkelling. Closer to home, passengers who enjoy the bush can sign up for a 10-kilometre, rock hopping trek through Western Australia's Kimberley wilderness to visit the old Kunmunya Ruins, an old Presbyterian Aboriginal mission from the early 1900s as well as the base camp of expedition leader Mike Cusack and his wife Susan's during their year in the Kimberley as Australian Geographic's first Wilderness Couple in 1987. The exclusive opportunity to join Mike on his yearly pilgrimage back to the site is only available on Aurora Expeditions Kimberley Coast voyages. There really is an adventure for everyone on Aurora Expeditions exciting range of small-ship expedition cruises. For more information contact Aurora Expeditions on +61 2 9252 1033 or freecall 1800 637 688 or visit www.auroraexpeditions.com.au to order their brand new 2015-2016 Expedition Guide. Travelmarvel’s new boutique rivership, the RV Princess Panhwar, is unveiled for the very first time in its new Burma 2016/17 brochure, which is available now. The custom built vessel offers premium four star river cruising with guests enjoying a choice of 36 staterooms and suites ranging in size from 26 sqm to 42.5 sqm and either a French or an outside balcony. Public areas aboard the sophisticated new vessel include an air-conditioned lounge area on the sun deck, a main restaurant, and a spa and massage facility. The core itinerary for Travelmarvel’s new Burma river cruising is the 15-day Majestic Burma – Irrawaddy Cruise from Yangon to Mandalay. Priced from just $5,795 per person, twin share, the cruise takes in all of the fascinating highlights of this emerging destination, including: Shwedagon Pagoda; a journey by horse drawn cart to the ‘Leaning Tower of Inwa’, taking in Maha Aung Mye Bon Zan Monastery and the teak-wood Bagaya Monastery en route; the opportunity to add your own sheet of gold leaf to the Mahamuni Buddha; and an exploration of Bagan, one of the world’s most spectacular archaeological sites. On offer is a choice of 24 sailings between January 2016 and April 2017. A three day extension of the Majestic Burma itinerary to Inle Lake is available, as is the chance to combine it with a Mekong river cruise aboard Travelmarvel’s La Marguerite on the 27-day Wonders of the Irrawaddy and Mekong. Travelmarvel’s comprehensive inclusions cover complimentary drinks with lunch and dinner, most meals (including all meals aboard the cruise), the services of a Tour Director, airport transfers, all flights within Asia, port charges, entry fees, tipping, sightseeing and accommodation within the price of each of its Burma itineraries. Two Earlybird Specials are being offered for this destination: ‘Fly Free, including Taxes’ on all Travelmarvel Burma holidays in any suite category departing January 2016 to April 2017; and ‘Fly Business Class from $2,995 per person, including taxes’ on any Princess Suite booking departing January 2016 to April 2017. Bookings for all offers must be made by 28 February 2015. Spaces are limited so guests are advised to book early. Offers are subject to availability and terms and conditions apply. 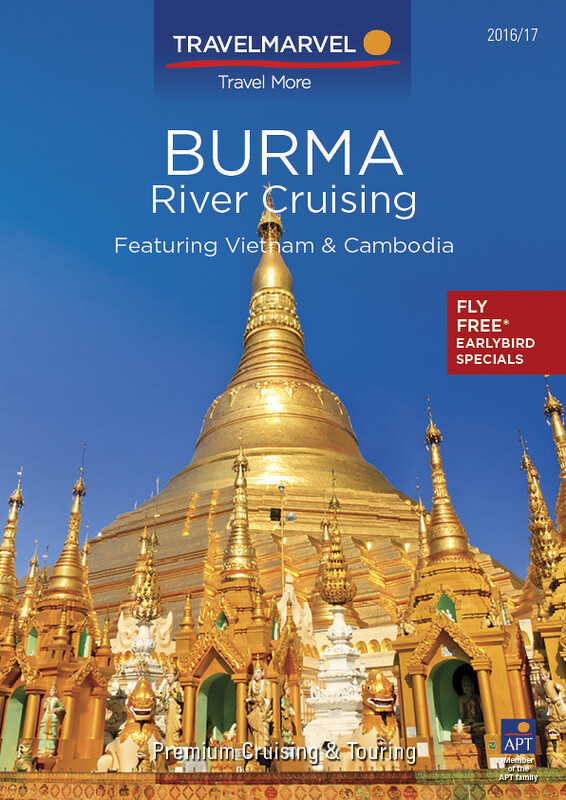 Travelmarvel’s Burma River Cruising 2016/17 brochure is available now. For further information call 1300 196 420, visit travelmarvel.com.au or see your local travel agent. BEYOND Travel are offering discounts of up to $780 per couple on the popular eight-day first class mega-yacht cruise “Jewels of the Cyclades” through the Aegean Sea for departures in 2015 when you book and pay by December 19. The voyage aboard the MS Galileo has only 25 cabins but is large enough to have spacious social areas yet small enough for an intimate and relaxed atmosphere and able to dock at smaller ports. Sailing on a round-trip cruise from Athens, the itinerary includes port visits to some of the lesser known Greek Islands such as Folegandros, Paros, Delos, Kythnos and Syros as well as the famous islands of Santorini and Mykonos. It also offers plenty of leisure time when the yacht drops anchor in many secluded bays perfect for a dip in the warm waters. The cruise is now priced from $2,260 per person twin share, a saving of $420 per couple for a category C cabin during the low season. For a category A cabin in the high season you can save up to $780 per couple with the cruise now priced from $3840 per person twin share. Prices include seven nights cruise accommodation, two meals a day, tea/coffee and mineral water throughout the day, use of fishing and snorkelling equipment, services of an experienced captain and crew and port charges. There are numerous guaranteed departures between April and October, 2015. · The renowned nine-night "Steinway" music cruise from Hamburg to Bilboa. 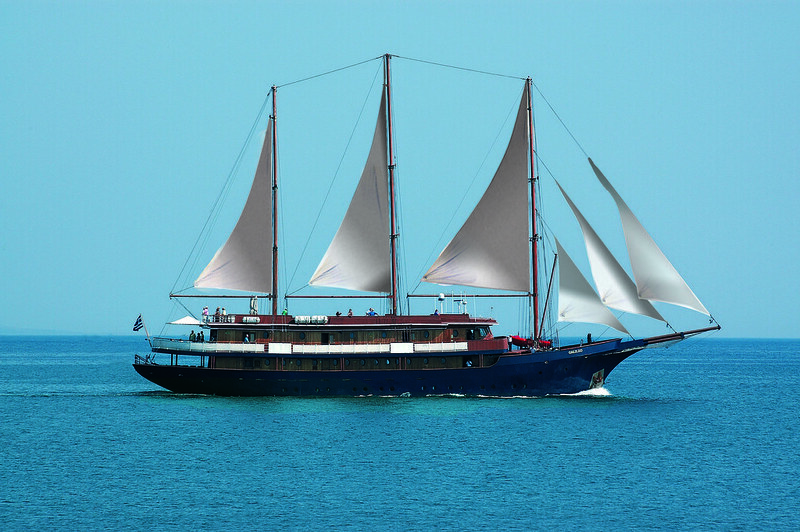 · An eight night, true windjammer experience through the Adriatic letting the trade winds determine the route! Both Sea Cloud and Sea Cloud II offer guests a rare opportunity to enjoy the seamless combination of an ancient seafaring tradition while ensuring they are able to enjoy the ships' first class service in a relaxed and elegant setting. And unlike other cruises, on many of the sailings the windjammers only reach their destination late in the afternoon so that sailing enthusiasts can enjoy the full tall ship sailing experience by day and explore the local harbours and villages at night. With their white sails billowing as they sail with the trade winds, these two legendary tall ships are able to navigate small secluded bays, visit relatively unknown harbours and make exciting on-shore discoveries in waters from which large cruise ships are often precluded. 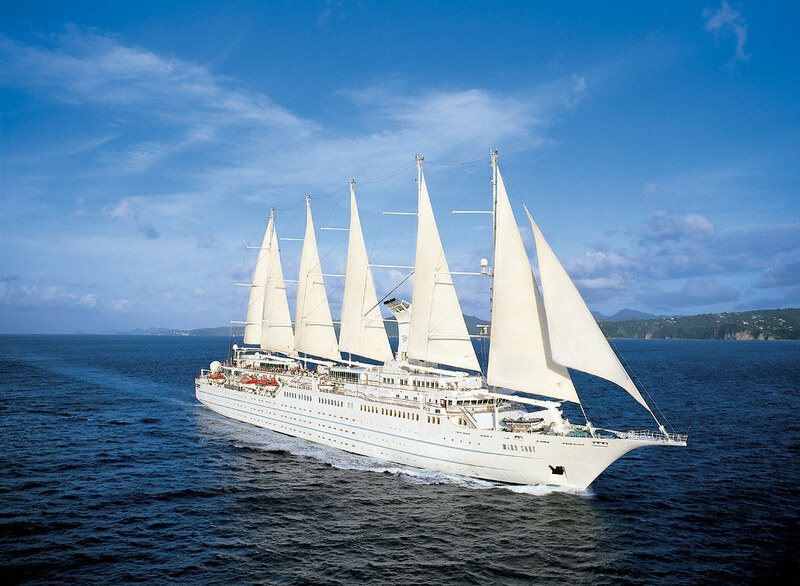 Part of the unique appeal of the two windjammers is their size: Sea Cloud can take a maximum of 64 passengers and Sea Cloud II can take up to 94. With a crew of up to 60, each guest is welcomed by a group of passionate seafarers, many who have been working together for years. With acclaimed chefs on board, guests are promised culinary delights from morning to evening and the daily menus are complemented with regional specialties and imaginative vegetarian options. First class wines and beers are included with lunch and dinner. Sea Cloud made her debut in 1931 when American heiress Marjorie Merriweather Post commissioned this stately home afloat. With Hollywood stars and aristocracy gracing the decks of this self-assured grande dame of the sea, Sea Cloud was widely regarded as the most magnificent sailing yacht in the world. A recent fit-out took special care to preserve the luxurious 1930's style of the cabins, dining room and public areas. 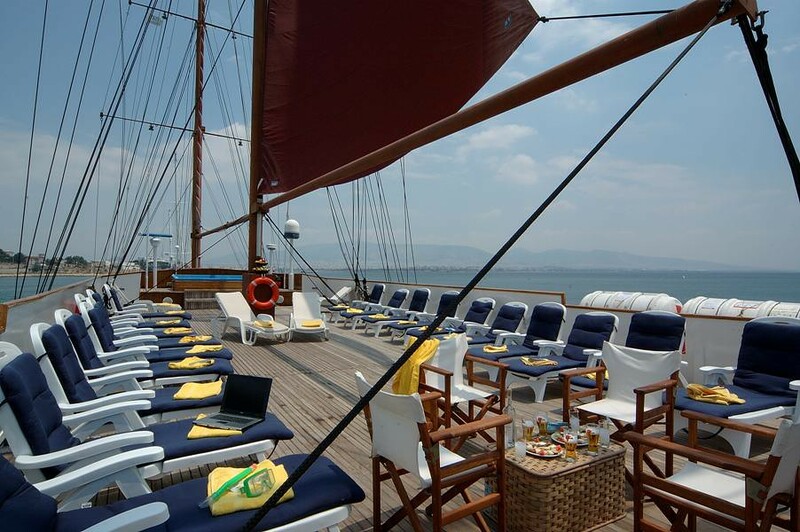 This three -masted barque offers the amenities of a modern cruise ship while remaining a quintessential windjammer. Built 15 years ago, Sea Cloud II bares all the hallmarks of her older sister, Sea Cloud, even down to the decision not to include a fully-automated rig, instead choosing to ensure that the sails are hoisted and lowered by hand. Sea Cloud II delivers five-star luxury which is sure to impress even seasoned cruise goers. 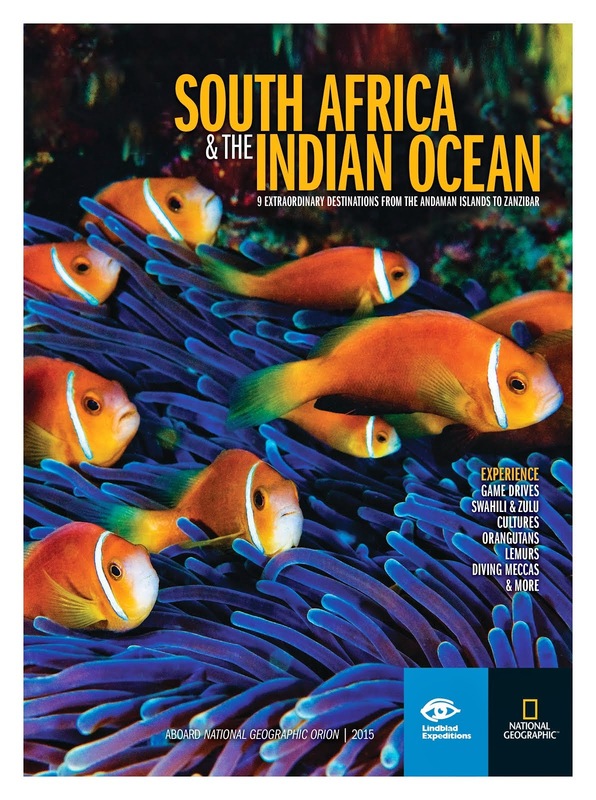 Lindblad Expeditions-National Geographic has released the new Southern Africa and Indian Ocean brochure for 2015 featuring nine destinations from the Andaman Islands to Zanzibar aboard the National Geographic Orion. Guests can choose from a range of voyages that offer undersea exploration, islands with a wealth of history and cultures that maintain close ties to their ancestral traditions. Each expedition also sails with a National Geographic photographer to assist guests with their photography skills – whether using an iPhone or SLR camera. Guests who book itineraries in this brochure will also have the exclusive opportunity to join the Lindblad Expeditions Friends for Life membership program, which entitles them to a 10% saving on the voyage they book and every voyage thereafter. Current Friend for Life members will receive a 20% discount on these bookings*. To access the brochure visit http://au.expeditions.com/Brochures-DVDs/Brochure-Details/?brochureId=400. For more information on Lindblad Expeditions-National Geographic or to book, visit au.expeditions.com, call 1300 361 012 or see your travel agent. A new cruise line started by experienced Iceland tour operators plans to begin expedition voyages in Iceland and Greenland in June. The new Iceland ProCruises is a division of Iceland ProTravel, owned by Gudmundur Kjartansson, a native Icelander, and Anne-Cathrin Brocker, from Luxembourg, who combined have 20 years of experience in Icelandic tourism. Iceland ProTravel specializes in Iceland tours, including trips focused on fishing, golf, the Northern Lights, and spa and wellness. The company has offices in seven countries, including the U.K., Sweden, Denmark, Germany, Switzerland, Norway and Iceland. 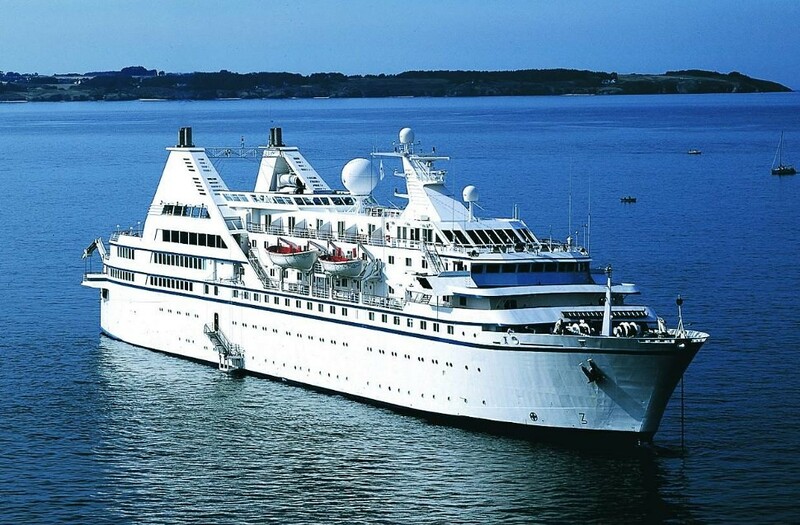 Polar cruise specialist, One Ocean Expeditions, is introducing a new 10-day expedition cruise in the Atlantic Provinces of Canada visiting Nova Scotia, Quebec and Newfoundland and the French territory of Saint Pierre et Miquelon, launching in July 2015. 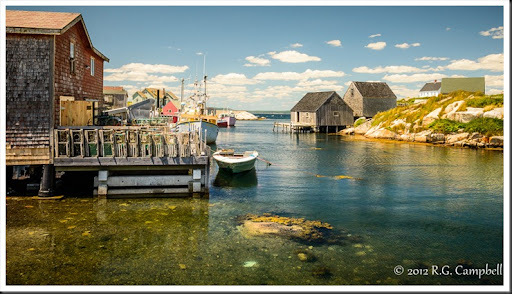 Starting in Louisbourg on the southeast coast of Cape Breton island, Nova Scotia, the 10-day journey will showcase the unparalleled beauty, rich marine life, fishing and Celtic cultures of otherwise inaccessible outports and islands of the Maritime East Coast. The East Coast Wildlife Safari is a visual, musical and educational feast for travellers wanting to experience quintessential Canada. Highlights of the voyage will include the shipwrecks and wild ponies of Sable Island and Canada’s newest National Park, Bird Island; Quebec’s Magdalen Islands, the iconic Bonaventure Island, and the culturally rich Gaspe Peninsula and Anticosti Island. This departure will also take guests to the spectacular Gros Morne National Park and the isolated marine community of Francois, as well as crossing the French border at St-Pierre et Miquelon, before returning to Louisbourg. Abundant birdlife and marine mammals, beaches and lagoons provide excellent viewing opportunities, while the Akademik Ioffe cruises toward the mouth of the St Lawrence River. Home to humpback, minke, beluga and blue whale, the St Lawrence offers a plethora of wildlife. Birders will delight in the eagles, puffins, and thousands of northern gannets in their natural habitats. The onboard naturalists will spot and assist in species identification. Resident photographers will help guests to capture this unique experience. Local musicians will share their talents and cultural insights into this musically rich region. The 9 nights /10 day East Coast Wildlife Safari takes place, 7 to 16 July, 2015. Prices start from US$7195 per person sharing a twin cabin including all meals and accommodation on board, zodiac excursions and landings, ship transfers and foul weather gear. Flights are not included. One Ocean Expeditions creates adventures unlike any other. The 2015 Canadian Arctic expedition cruise program offers something for everyone. Starting with the 9-night East Coast Wildlife Safari, followed by 11-nights ‘Off the Beaten Track’ offering a range of adventure options on Baffin Island and the west coast of Greenland; a 10-night Arctic Circle in Focus Photographic Symposium; and One Ocean Expeditions signature voyage, a 12-night cruise through the Northwest Passage. Each voyage offers educational components with top scientists and educators whilst custom activities and adventures remain a top priority. Australia’s premier luxury adventure-cruise ship, the True North is purpose-built to sail deep into the heart of the wilderness, visiting areas that larger ships cannot access. Guests are privy to only the highest quality experiences courtesy of True North’s on-board biologist and a team of naturalists, a ship’s helicopter and six dedicated expedition boats. 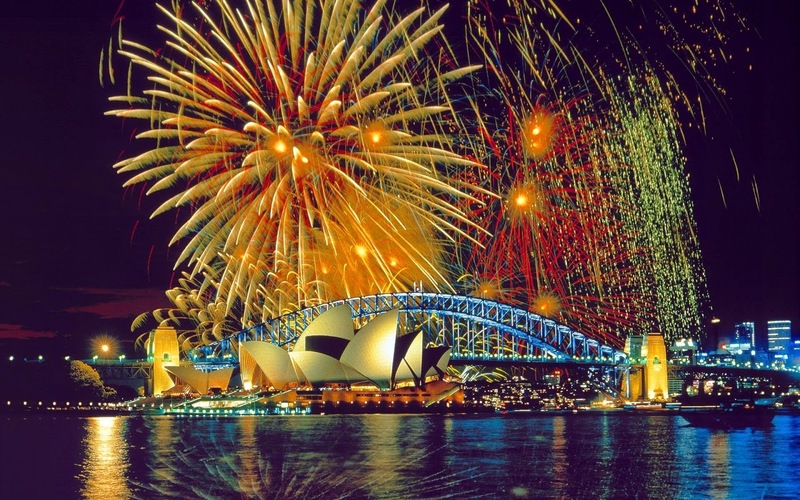 § The four day Sydney Rocks sails roundtrip ex Sydney on 25 December. Prices start at $3,995pp. 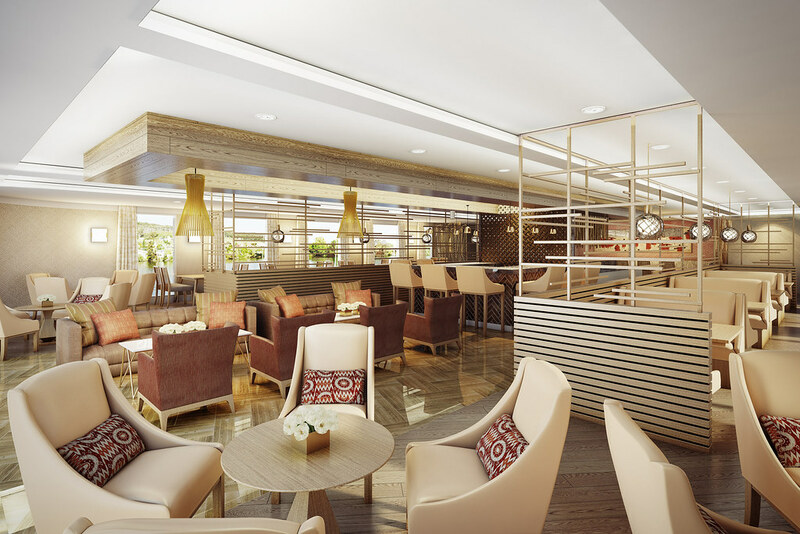 Award winning luxury cruise operator APT has revealed the first artist impressions of the interiors of its new boutique rivership, the RV Samatha (pronounced Sa-ma-ta), in its latest Burma River Cruising 2016/17 brochure. An image of one of the Twin Balcony Suites showcases the design standards APT will apply to the 30 stylish suites, the largest of which is the Executive Suite offering 48.7 square meters. As well as offering a range of sizes, all suites are positioned on the outside of the ship to ensure all guests enjoy either a panoramic or twin balcony. Also illustrated in the brochure is the main restaurant, which has been heavily influenced by local design. The restaurant will play host to the cuisine of APT’s Asia Ambassador, celebrity chef, Luke Nguyen, who will play a central role in designing the onboard culinary program. Guests who set sail aboard the RV Samatha on the Irrawaddy with APT will enjoy exclusive dinners every evening that have been personally designed by Luke. Also exclusive for APT guests is the chance to sample Luke’s specially designed degustation menu in the ship’s private dining room, an intimate eight-seat venue. 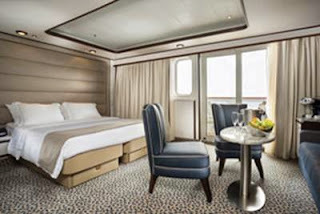 The new vessel also offers guests all the facilities synonymous with an APT luxury rivership, including a sundeck with swimming pool; day spa; complimentary Wi-Fi; and a main lounge and bar. For example on the 18-day Hidden Wonders of Burma with Inle Lake, priced from $9,395 per person, twin share, guests sail from Mandalay to Yangon aboard the RV Samatha. Cruise highlights include stopping along the way to experience the Mahamuni Buddha Temple; touring Inwa by horse drawn cart and seeing the ‘leaning tower of Inwa’; enjoying a pottery making demonstration in Yandabo; spending a day of discovery at the Bagan Archaeological Zone; wandering through the Bogyoke Aung San Market, a major bazaar in Yangon famous for its colonial architecture and cobblestone streets; and visiting the 99-metre high Shwedagon Pagoda. After the cruise, guests fly to Heho for a three night stay at Inle Lake where they will explore the southern section of the lake by boat, taking in its stunning gardens, witnessing the ingenious one-legged rowing technique used by local fishermen and visiting the famous Nga Phe Kyaung Monastery (also known at the ‘Jumping Cat Monastery’) where for centuries monks have trained cats to jump through hoops. This is one of four featured itineraries in the 52-page brochure, which offers a wide choice of departures on river cruises in Burma, as well as combination itineraries that include Vietnam and Cambodia. The all inclusive lifestyle available to guests travelling on APT’s Burma holidays in 2016 and beyond features most meals (including all meals and beverages with lunch and dinner on its cruises), all flights within Asia, five star luxurious accommodation, an APT cruise or tour director, all sightseeing, transfers, airport taxes, port charges and tipping. APT is offering a choice of two ‘SuperDeals’ on all bookings made by 31 March 2015. For bookings on any holiday to Burma of 15 days or longer a ‘Fly Free, including taxes’ deal is available; or alternatively fly Business Class from $2,995 per person. Offers are subject to availability and terms and conditions apply. APT’s new Burma River Cruising 2016/17 brochure is available now. Call 1300 196 420, visit aptouring.com.au or see your local business development manager for further information. Hurtigruten has announced a new concept on-board the fleet’s grand old lady, MS Lofoten (1964) from April 2015. 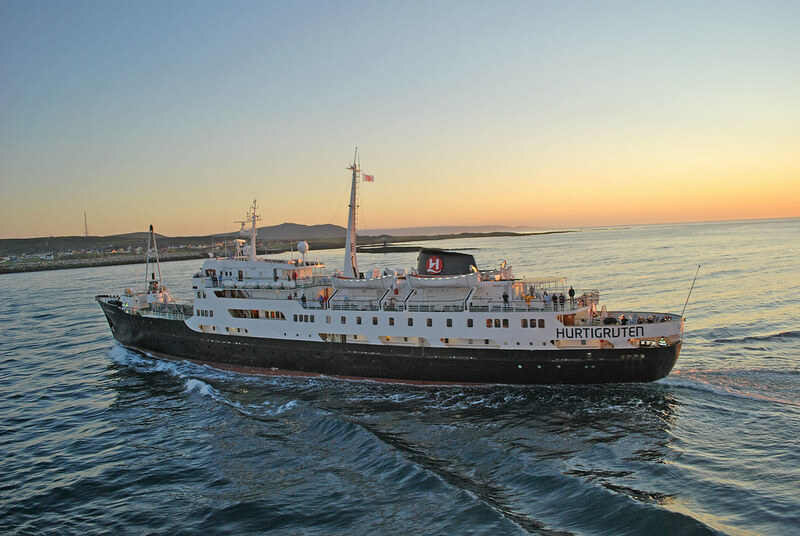 The ships classic characteristics will be accentuated throughout her voyages, offering guests nostalgic experiences such as fishing directly from the ship, bridge tournaments, afternoon teas and a more traditional dining experience. This small, agile veteran of the seas has a few advantages over other ships as she can navigate waters others can’t - bringing her guests closer to the action and closer to the scenery. While the ship will operate on the traditional coastal voyage from Bergen to Kirkenes and back, Hurtigruten are currently working on a number of new diversions and ports of call to add to the experience from April 2015. A delicious 4-course dinner based on the menus of the 1960s will be created to delight the taste buds with fresh and seasonal ingredients from local suppliers along the coast. While Hurtigruten are generally known for their informal atmosphere, the voyages on MS Lofoten will be enhanced by a service reminiscent of that offered in the early days of the ship. Dishes will be served from silver platters by staff wearing white gloves and the uniforms of the era and a Captain’s Dinner will round off this voyage down memory lane. ”Modern dining and Asian fusion can be enjoyed all over the world, but now it is time to turn back the time on MS Lofoten to the old virtues, before sushi, pizza and the internet took over our everyday lifestyle. Offering an 11 day nostalgic, but high quality service concept is something we are really excited to offer our guests from 2015”, comments Thomas Westergaard, SVP Product Development & Hotel Operations. 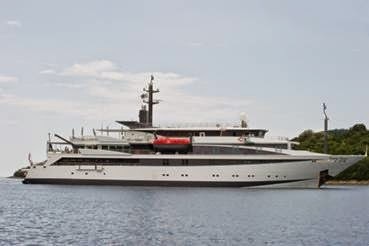 This vintage ship, launched in 1964 in Oslo, was refitted and renovated in 2003. Since that day 50 years ago, the MS Lofoten has remained loyal to the Hurtigruten shipping company and its fans. Its tasteful wooden decks, original lounges and traditional panorama decks ensure it retains its authentically charming atmosphere. This smallest and oldest Hurtigruten ship has been protected by a preservation order since 2001 and enjoys a very special place in the hearts of Hurtigruten customers. Its traditional charm and unique character have earned it a large community of fans. By its 50th birthday in 2014, the MS Lofoten had travelled almost three million nautical miles, transported 1.25 million guests and docked over 75,000 times in the Hurtigruten ports. For more information contact your local Travel Agent or email Discover the World on hurtigruten@discovertheworld.com.au or call 1800 OCEANS (1800 623 267). Australian agency, Active Travel, is offering AU$750 off international flights for every traveller who books one of 10 Antarctica, South Georgia and Falkland Islands voyages sailing from October, 2015, to March, 2016. Among the tours are three new air and cruise packages that include 'shortcuts' by plane to reduce the sailing time to the polar region and allowing passengers more time to explore the Antarctic Peninsula and also South Georgia, which boasts more wildlife per square metre than any other place on Earth. The air credit offer is valid for 2015/16 Antarctica earlybird bookings made with Active Travel before November 30, 2014. The adventures are run by longstanding, polar travel specialists, One Ocean Expeditions, which Active Travel pioneered in the Australian market in 2008. The three new Antarctic and sub-Antarctic 'air and cruise' packages range in length from 11-15 days and all include flight sectors to cut the time at sea, reduce the chance of cross-passage sea sickness, allow more exploration time on land and reduce the length and cost of the tour. 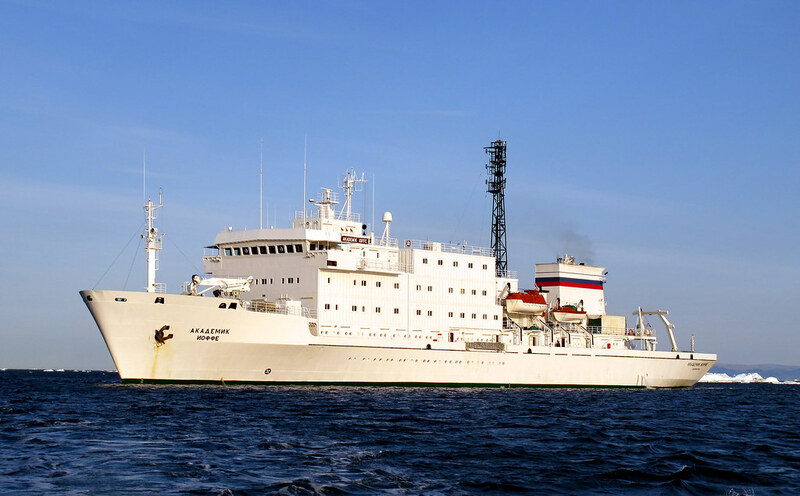 The three new voyages are aboard the Russian, ice-strengthened ship, Akademik Sergey Vavilov, with the maximum passenger load lowered from 92 to 70 passengers, allowing for more personal service and attention. 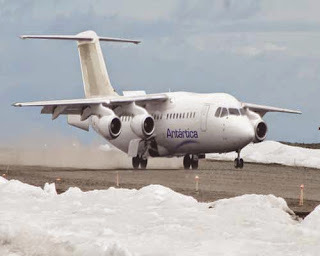 Active Travel's first new package – the 11-day 'Antarctic Peninsula Explorer and the Falklands' – starts with a 90-minute flight from Punta Arenas to Port Stanley in the Falklands, followed by a 10-night cruise along the Antarctic Peninsula and then a two-hour flight from the South Shetland Islands back to Punta Arenas. The itinerary in Antarctica includes walks ashore with naturalist guides, visits to historic huts, cruising in zodiac boats to view spectacular icebergs and witnessing an abundance of wildlife species including seals, whales and penguins. Including the two flight transfers, the package is priced from US$9795 per person, triple share, or form US$11,795 twin-share. Departures from Punta Arenas are on December 19, 2015, and January 9, February 13 and March 7 in 2016. A 12-day 'Ultimate Antarctica' tour begins with a flight from Punta Arenas to the South Shetland Islands, followed by an 11-night cruise to the Falklands via the Antarctic Peninsula and ending with a flight from Port Stanley back to Punta Arenas. Departing Punta Arenas on December 8 and 29, 2015, and January 19 and February 23 in 2016, the package is available from US$10,045 triple-share, or from US$12,045 twin-share, including the two air transfers. 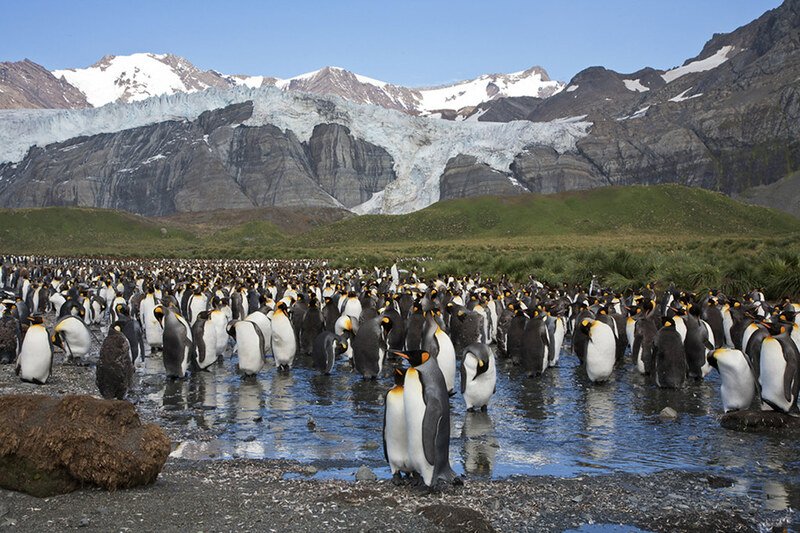 The third package – the 15-day 'South Georgia in Depth' – includes one flight – from Punta Arenas to the Falklands, with passengers then spending 14 nights at sea, including eight days exploring the snow-capped peaks, stunning fjords and wildlife-rich shores of South Georgia Island, famous for its massive colonies of King penguins and elephant seals which jostle for space on the foreshore. Only 30 scientists live on the remote and rugged island in the southern Atlantic Ocean. The voyage, which ends in Ushuaia, Argentina, is available from US$10,145 triple-share and from US$11,245 twin-share, including the flight transfer. One departure is available on October 17, 2015. Flights from Australia to South America are extra. Bookings made for the cruises before November 30, 2014, will receive a flight credit of AU$750 per person, to be used towards international flights booked in conjunction with the cruise through Active Travel. Pre/post cruise accommodation can also booked through Active Travel. 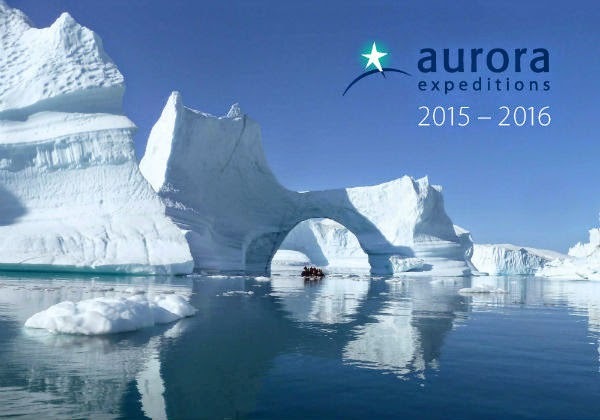 Aurora Expeditions, the experts in small-ship expedition cruising, is pleased to announce the launch of their new 2015-2016 Expedition Guide. For the first time ever, the guide encompasses expeditions across all seven continents featuring 21 itineraries, 18 destinations and over 80 individual departures, and is jammed packed with a range of new bonus inclusions. The expanded program includes a new 15-day 'African Cruise Safari' to some of the most concentrated wildlife regions of South Africa, Zimbabwe and Botswana. The expedition highlights include a four-day cruise on the Chobe River on board luxury riverboat Zambezi Queen, with game viewing from special excursion crafts, as well as nights in traditional safari lodges and game drives through Chobe and Hwange National Parks. The new Expedition Guide also showcases Aurora Expeditions' commitment to creating better value trips with each itinerary featuring an array of additional inclusions on top of the usual accommodation, meals and shore excursions. These range from exclusive polar jackets for all passengers to Antarctica and the Arctic, included flights and accommodation, free polar photography workshops and a printed photo book memento. In Scotland passengers will receive a 12-month National Trust membership and an onboard genealogist will assist passengers in tracing their Scottish ancestry. Free artist workshops along the Kimberley coast will allow budding artists to create their own Kimberley masterpiece. A BirdLife Australia specialist will interpret birdlife on board two 'Spitsbergen Odyssey' voyages and, for the first time, on the 'Scotia Sea Springtime' expedition to Antarctica and South Georgia - both unforgettable trips for keen birders. 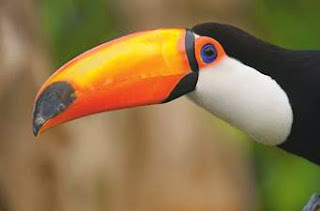 Plus, all passengers on these voyages will also receive a 12-month BirdLife Australia membership. In Antarctica, passengers will have the chance to enjoy a 'floating exhibition' of Frank Hurley's iconic Antarctic images as Aurora Expeditions starts the commemorations of the centenary of Sir Ernest Shackleton's 1914-1917 Imperial Trans-Antarctic Expedition. A series of dedicated Shackleton Centenary Expeditions will also include a special program of on board events including a commemorative dinner, visits to key historic sites, special memorial at Shackleton's gravesite in Grytviken cemetery, a memorial badge and a specially created centenary photo book. Other inclusions include complimentary kayaking, stand up paddle boarding and polar snorkelling in Alaska, city sightseeing tours in Ecuador, free camping in Antarctica, and a scenic heliflight over Mt Everest as part of the company's Himalaya trekking program. Aurora Expeditions is also reinforcing its 'No Single Supplement' stance for those passengers willing to share a cabin, offering a cabin mate finding service across all of its departures. 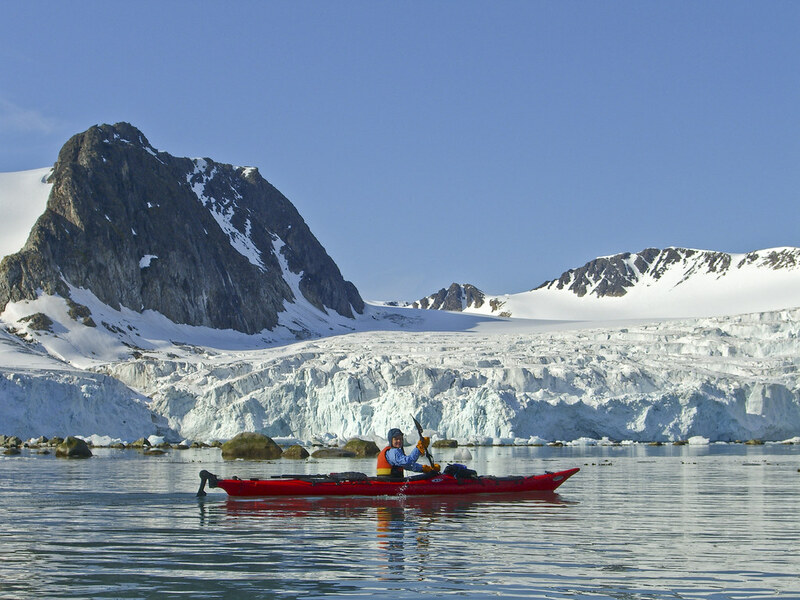 Sea Kayak voyages to the earth’s extremes feature in Southern Sea Ventures newly released 2015 program. 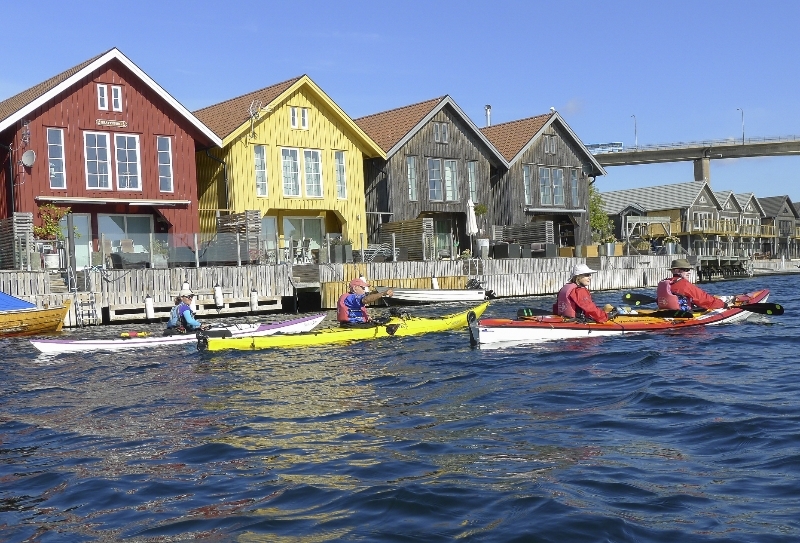 Already paddling to most corners of the globe, the sea kayaking specialists have added five new trips to their line up of active adventure experiences. Led by expert guides with strong local insights, first timers and experienced paddlers alike can choose from 30 tropical, Mediterranean, Indonesian, European, Polar and Sub-antarctic itineraries in four distinct styles - camping, hotel, ship and yacht based kayak trips. The new 10 day paddling trip to Indonesia, Raja Ampat Kayak and Snorkeling, explores some of the world’s most spectacular marine habitats. A luxuriously appointed sailing vessel provides the floating home base for a kayak discovery of the archipelago’s pristine coral, exotic birdlife and beautiful beaches. This is a ‘dream list’ trip for paddlers, snorkelers and scuba adventurers and offered in Nov /Dec 2015. Priced from AU $5250. A heady cocktail of cuisine, culture and cardio, the new nine day Italian Riviera & Cinque Terre Kayak/ Walk in October 2015 is the perfect way to experience the stunning sea vistas and picturesque jumble of colourful fishing villages of the Cinque Terre. Staying in small family run hotels and living ‘la dolce vita’ is a genuine Italian immersion. Cost is Euros 2375. Croatia’s limestone islands, quaint fishing villages, vineyards and medieval monasteries are just some of the hidden treasures revealed on the 14 day (12 days kayaking) Croatia to Montenegro Kayak/Sail Odyssey. The promise of a comfy bed and a hot shower after a day’s paddling adds to the appeal of a yacht and kayak trip combo. Priced from AU $4025 in Sept, Oct 2015. The shorter, but packed full of surprises 10 day (seven days kayaking, one day hiking) North Dalmatia Kayak/Sail Adventure in June, is priced from AU $2925. For those hooked on adventure, the Croatia Explorer trip will deliver the ultimate challenge fix. Paddling between eight islands, each with wildly different landscapes and camping in tents on remote beaches, this kayak experience with an edge is priced at AU $2175. Kayaking in the polar regions is a humbling and lifetime experience. Wildlife, wilderness and ice are featured in the most diverse selection of Arctic and Antarctic voyages ever offered by Southern Sea Ventures. Prices depend on the length of the voyage and the berth chosen. Around the other side of the globe, curious sea kayakers can discover the rich biodiversity of the sub Antarctic Islands of New Zealand and Australia, including The Snares, Auckland, Macquarie, and Campbell Islands. In Far East Russia kayaking is still one of the last frontiers of adventure travel, with ribbon seals, stellar sea lions and fur seals providing company for paddlers. The much-loved tropical paddling trips in Fiji, Panama, Tonga, Australia and Melanesia deliver paddling in peaceful and uncrowded waters. The eight European itineraries include paddling along the rugged headlands and secluded coves of Turkey and dramatic scenery of Scotland and Sweden’s west coast. For the full list of trip inclusions plus detailed itinerary and destination information visit www.southernseaventures.com or call +61 (02) 8901 3287. Captain Cook Cruises Fiji have highlighted the importance of Sustainable Tourism after partnering with The Ocean Ambassadors on the ground-breaking Fast Track Fiji program. The program has set out to work with operators and industry leaders to minimize waste plastics entering the ocean and bring in commercial applications to process the plastics into both alternative fuels and multiple clothing lines. The Ocean Ambassadors, with the help of the Australian High Commission, are setting up recycling systems in the remote areas of Fiji and Captain Cook Cruises have donated space on their cruise ship, the Reef Endeavour to re-locate plastics from the outer Islands back to the mainland. The first plastics pick-up took place from Taveuni on Saturday October 11, 2014 and was a monumental change for Fiji that has until now been at a standstill on how to deal with their waste. Up until last year Taveuni didn't even have a landfill, and now, with the help of Captain Cook Cruises, The Ocean Ambassadors and Keep Taveuni Clean, this island will slowly become the scalable model on how the rest of Fiji can change. Fast Track Fiji will be a long term program which will include a wide array of initiatives including schools involvement, community engagement, educational presentations and corporate responsibility with the end goals to create jobs and close landfills. According to Managing Director of Captain Cook Cruises Fiji, Jackie Charlton, "when we were approached to be part of this recycling initiative we didn't hesitate. Fiji desperately needed a campaign to collect and recycle plastics and we are proud to help start one and do some good for the environment. We made our first collection of four bags of plastics on Saturday and we have secured a container that will be based at Denarau Marina where the plastics will be stored." Continues Jackie. Once the container is filled the plastics will be collected and the Ocean Ambassadors will turn the bottles into clothes and fuel including their caused based brand Leisure Activist Group. "We have a chance now to show the world what is possible when we work together. Waste plastics in the ocean have become the obvious major threat to the marine environment. If everyone takes a stand now and plays their part, Fiji can be the world's first island nation to effectively stop plastic pollution." Explains Adrian Midwood, Head of the Ocean Ambassadors and Leisure Activist Group. "Our aim is to work with everyone, hotels, cruise ships, large business and especially the local community, as this problem is on all of us, so we intend to work with each department in different ways. For example using Captain Cook Cruise's ship, free of charge, to transport the plastics collected back to Denarau is imperative to the success of this campaign. 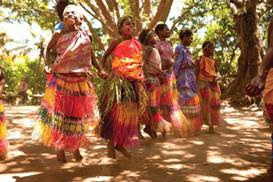 We aren't here to preach or tell anyone they are doing something wrong, we want to enable Fiji to do something right." Continues Adrian. 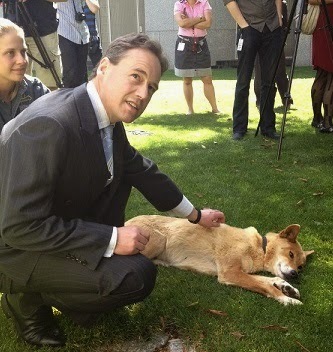 Greg Hunt MP, Australia's Minister for the Environment, who famously approved the dumping of three million cubic metres of dredged spoil within the Great Barrier Reef Marine Park, has further reinforced his credentials by suggesting that the Australian Antarctic Division (AAD) should investigate alternative sources to supplement government funding for research such as walrus studies. Discover the Coral Sea on this 13 day voyage on board Silver Discoverer. This voyage, through one of the most beautiful parts of the world, offers guests world-class diving and snorkeling opportunities, an abundance of exotic wildlife and exquisite landscapes, including rocky hillsides, lush lagoons, active volcanoes and coral reefs. Departing Auckland on 8 February 2015, Silver Discoverer will sail through New Zealand's Bay of Islands, a subtropical micro-region renowned for its stunning beauty and history. Sailing through the vast South Pacific Ocean, Silver Discoverer will visit Norfolk Island, a birdwatchers paradise that is home to unique populations such as White-Chested and Slender-Billed Norfolk Parakeets, Norfolk Gerygones and Wedge-Tailed Shearwaters. 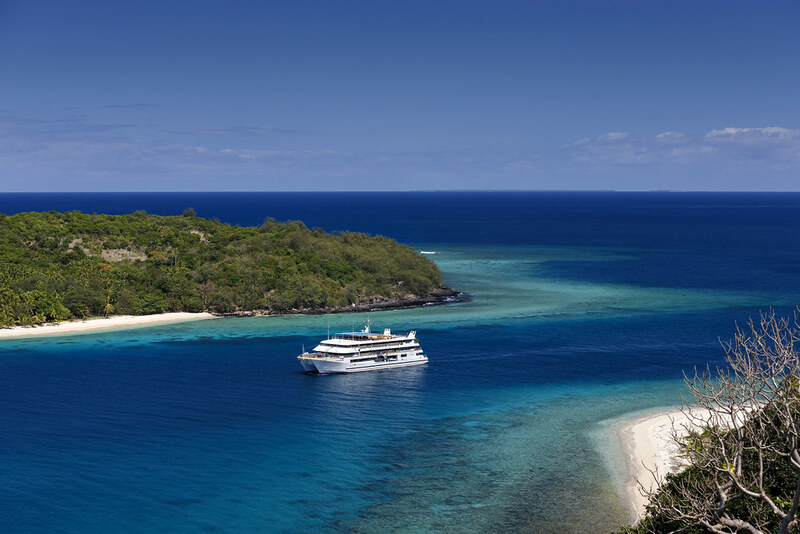 Continuing her journey north, Silver Discoverer will sail to New Caledonia, visiting Îles des Pins and Lifou. This part of the world is filled with rugged mountains, exquisite white-sand beaches and diverse animal life. Divers will witness the incredible coral reefs, teeming with brightly coloured marine life. Silver Discoverer will then voyage to the archipelago of Vanuatu, with ports of call including Tanna, Ambrym Island, Champagne Beach and Luganville – a popular dive site featuring WWII wrecks that lie on the ocean floor. A unique and stunning part of the South Pacific, Vanuatu is well known for its active volcanoes, lush vegetation and incredible history. Cruising to the Solomon Islands, Silver Discoverer will explore Tikopia, Utupua Island and Santa Ana Island, before voyaging to Honiara, with guests disembarking on 21 February 2015. Prices are per person starting from AU$10,350 in an Explorer Suite, double occupancy. Silversea Expeditions' fares include: all shore and Zodiac excursions hosted by an expedition leader; all-suite accommodation with butler service; gourmet meals with menus inspired by Relais & Châteaux; complimentary wines, Champagne and spirits served throughout the ships; and all gratuities. Wild Earth Travel introduces the latest addition to its small ship cruising portfolio, the Aegean Mosaic Cruise. This 7 night/8 day voyage from Athens –Istanbul and reverse on board the 36 cabin Mega Yacht, the Variety Voyager, takes in the treasures of the Aegean Sea and Turkey. 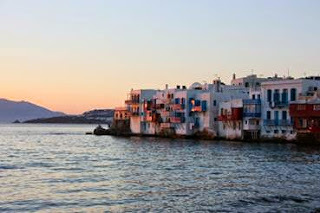 Explore Delos, Mykonos, Patmos and Santorini - the white pearls of the Aegean Sea. 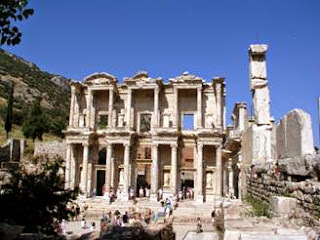 In addition, the Greco Roman cities of Ephesus, Pergamon and Troy nestled on the Turkish Coast await your discovery. And last but not least Istanbul, a city of contrasts at the crossroads between Asia and Europe. The 36 cabin Variety Voyager has the ability to call at other ports where larger ships cannot. As well a variety of optional excursions, this itinerary includes at least three swim stops at the best and most picturesque Greek islands. Various voyage dates available July-October 2015 and 2016. Book before 31st December 2014 and receive 10% off! Priced from 2, 300 Euro pp. Contact Wild Earth Travel, the small ship cruising specialists on info@wildearth-travel.com for more information. 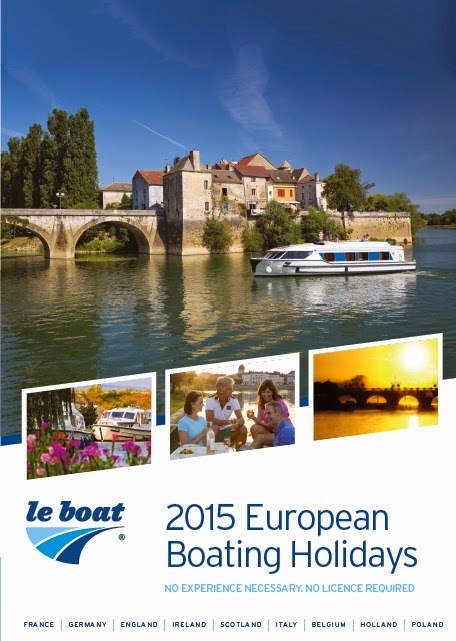 Le Boat is proud to introduce their 2015 canal boating brochure for the upcoming season. The brochure includes cruising routes in 2 new bases in France and Holland, the new Poland destination, as well as showcases the brand new Le Boat APP. The new look Le Boat brochure has a fresher design, with a clean and simple layout highlighting the maps and possible cruising itineraries for each destination. New base in Vinkeveen, Holland, which is close to Amsterdam, nearby the world's largest flower park in Lisse, and close to the town of Gouda (of course famous for its cheese). New base in Castelsarrasin (Aquitaine, France), which provides great access for one-way cruising to the region, and is nearby to the world renowned Abby and cloisters at Moissac and the mediaeval town of Agen. New region of Poland in the Masurian Lakes which are made up of more than 2000 interconnecting lakes, surrounded by lush and unspoiled landscape, where clients can visit the 14th Century Lehndorff Palace, the dynamic city of Gizycko and the UNESCO listed Luknajo Lake Reserve. One of our big changes for 2015 is that we have introduced dynamic pricing. We will no longer publish fixed brochure prices for 2015. Instead, prices will be subject to weekly fluctuation based on demand & availability allowing us to react quicker to the market ensuring prices are always competitive. In addition the brochure introduces the new Le Boat APP is developed to help customers plan their holidays and guide them as they cruise. It includes maps, geo-localised content, points of interest and detailed information about their cruising regions. The APP is free to download and available on both Android and iOS devices. For those considering a canal boating holiday in 2015, Le Boat have an Early Bird discount where clients can save 12% on 1 – 4 star boats and 5% on 5 star boats for 2015 departures in all destinations (must be booked by 30th November 2014). To request a free copy of the brand new Le Boat brochure or to view the digital version online, visit http://www.leboat.com.au/brochure-request. About Le Boat: Le Boat, the largest operator of self-drive boating holidays on Europe's waterways, operates its own fleet of 800+ self-drive cruisers from a network of over 40 departure bases across nine European countries. Le Boat brings together over 40 years of experience in canal and waterway cruising. Visit www.leboat.com.au for more information. 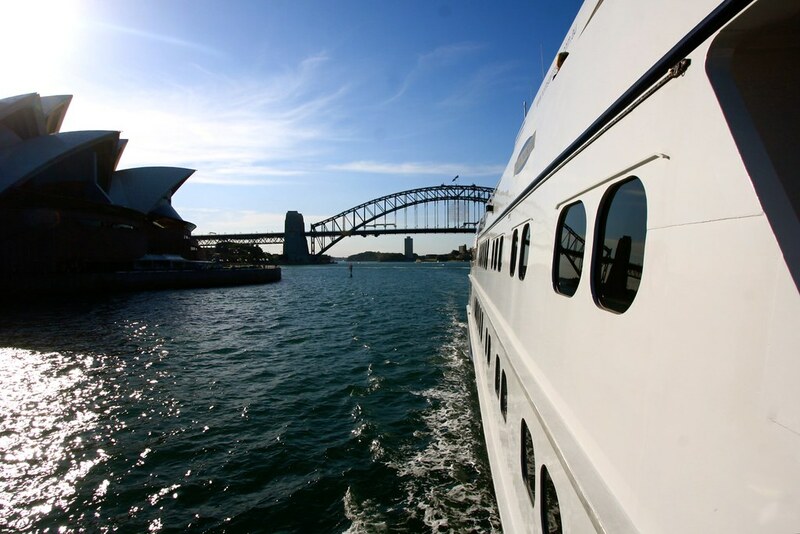 Silversea Expeditions has released its 2015 Kimberley voyages on board Silver Discoverer. The latest addition to the Silversea Expeditions' fleet, the ship will explore the jaw-dropping landscapes of the Kimberley with six voyages from March to May. Karen Christensen, General Manager & Director Sales/Marketing, Australasia, says sales for the 2015 Kimberley season are already strong and a repeat on 2014's sold out season is likely. "When Silver Discoverer was announced in September 2013, we experienced a surge in reservations, resulting in the 2014 season all but selling out prior to the ship's inaugural sailing in April of this year. This reinforced to us that this part of Australia and our luxury, all-inclusive style of expedition cruising resonates strongly with our guests," says Christensen. 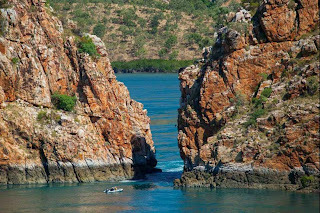 Largely inaccessible and protected by its remoteness, the Kimberley region in north-western Australia offers breathtaking landscapes rich in history. Guests can experience natural waterfalls up close via Zodiac, search for saltwater crocodiles in vast wetlands, fly over the Bungle Bungle region and witness the historic Bradshaw rock art, illustrated by Indigenous cultures over 20,000 years ago. 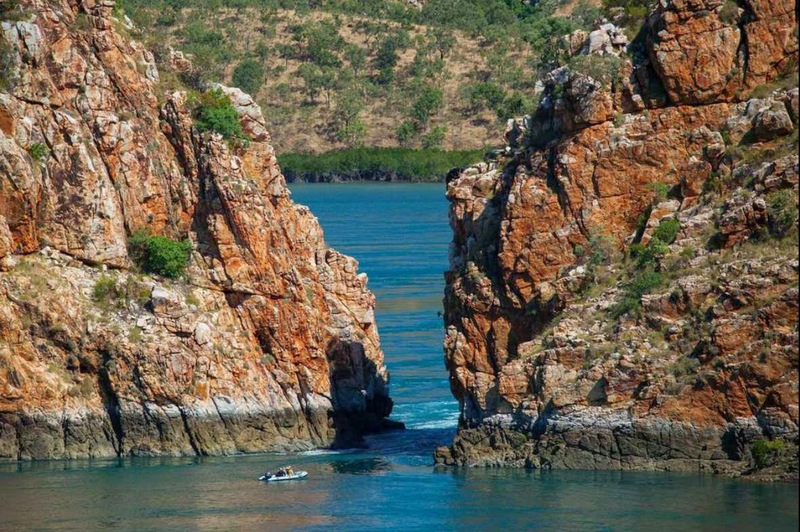 "The Kimberley is without a doubt, one of Australia's best kept secrets. Silver Discoverer brings guests even closer to the region's dramatic landscapes and historically rich destinations, all in the comfort and style that Silversea is renowned for," says Christensen. In true Silversea Expeditions style, guests can experience an on board program of destination lectures, photo presentations and daily recaps. Exploratory Zodiac excursions and interactive walks ashore, led by experts in their field, including marine biologists, ornithologists, geologists, botanists, historians, and anthropologists, are complimentary. The added convenience of the pool on board Silver Discoverer – a rarity on ships in the region -provides guests with respite from the Kimberley's warm climate whilst enjoying this beautiful part of the world. The privileged 120-guests on board Silver Discoverer can enjoy ocean-view suites, gourmet cuisine, personalised butler service, and a generous selection of all-inclusive on board amenities, including complimentary Champagne, wines and spirits served throughout the ship, and stocked in-suite. In 2015, 10-day Darwin to Broome (or vice-versa) voyages depart 9, 19, 29 April, and 9, 19 May. All-inclusive fares start from AU$10,950 per person double occupancy.